When he was a priest and cardinal, Pope Francis worked with the poor and hungry for most of his ministry before God called him to be our Holy Father. CatholicShop.com seeks to live by his example and we are determined to use this website as a means for not only providing spiritual food to the world, but real food as well, for those who need it most. Hunger is a very real problem, and millions of children go to bed without food every night. The cost to feed one full meal to a hungry child is more affordable than you might think. CatholicShop.com supports Mary's Meals, a wonderful charity that feeds over a million children throughout the world every day. Mary's Meals is able to provide meals to children in need at a very low cost. It generally costs them only about $20 to feed a child for an entire year! They also support education, because the meals are served to children at local schools. 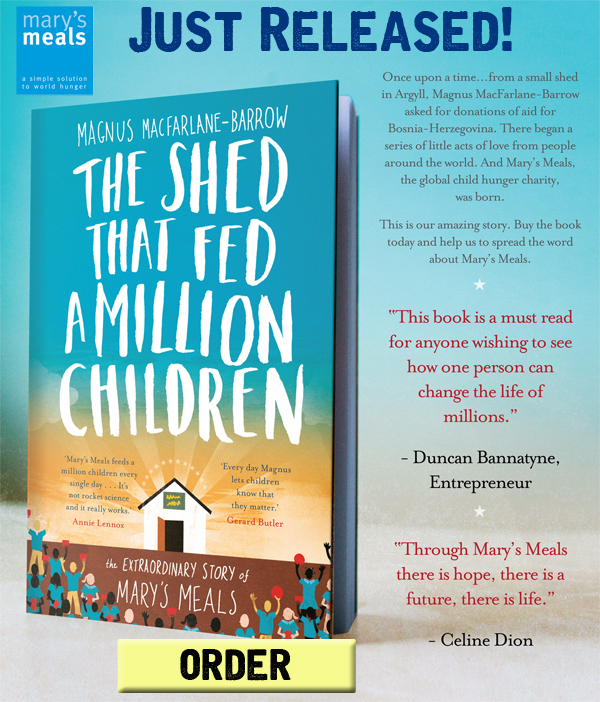 CatholicShop.com has donated thousands of dollars to Mary's Meals, and as our company continues to grow, we hope to increase our contributions as much as possible. Best of all, this charitable giving does not affect our prices. We still offer some of the lowest prices on religious goods anywhere on the Internet, so rest assured that you'll not only be saving money while shopping at CatholicShop.com... you'll also be saving lives! We also invite you to donate directly to Mary's Meals at their website. Learn the amazing story of our favorite charity!